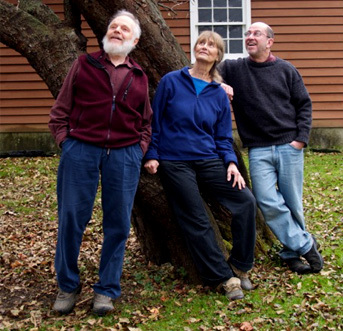 WINTERGREEN, a folk trio, performs a mixture of traditional and contemporary music from the British Isles and America, along with their own compositions. 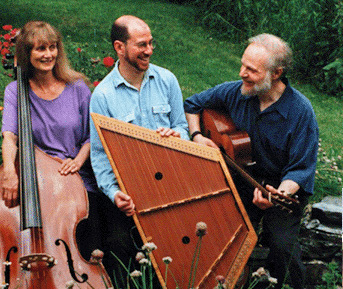 Their programs feature instrumentals based on dance tunes, intricate three-part vocal harmonies, and a wide variety of folk instruments. Among other places, this trio has appeared at the Troy Music Hall, WNYT-TV Albany (NBC), Caffe Lena in Saratoga Springs, NY, the Clark Art Institute in Williamstown, MA, and has performed several concerts in Germany. The group has recorded four CDs, “Pass It On Down”, “Potluck”, “Old Songs and New”, and “A Song of Home”.